As any man knows it is important to walk tall and wear a good hat. Howe Gelb and Giant Sand wore good hat when they played last night in the small Victorian theatre tucked down one of the sides of St George’s Hall. It was the same room that Dickens read in more than a hundred years ago and the only shame was that it wasn’t as full last night as it would have been on one of those nights with Dickens in full flow. I have written elsewhere on here about Giant Sand so I won’t repeat too much of the history. The last time I had seen Howe Gelb it was twenty five years ago and he was sat on one of the benches on Magdelen Bridge in Oxford arms outstretched over the back looking cool and relaxed in the morning air. If I get round to writing a proper book of short stories one of them will feature the moment I hesitated and didn’t go over and shake his hand and say hello. The night before when they were playing in the old Co-op Hall on Cowley Road I had shouted out for them to play Mountain of Love. He had shaken his head sadly and said “But that is an old song” and then went on to play it anyway. Last night when I shouted out for the same song he just said “No’ and went ahead and played something even older. There can’t be many bands thirty years into a career who can just play a gig consisting mostly of stuff from the album they released only a few weeks ago and have it sound as if they are playing a show of greatest hits. 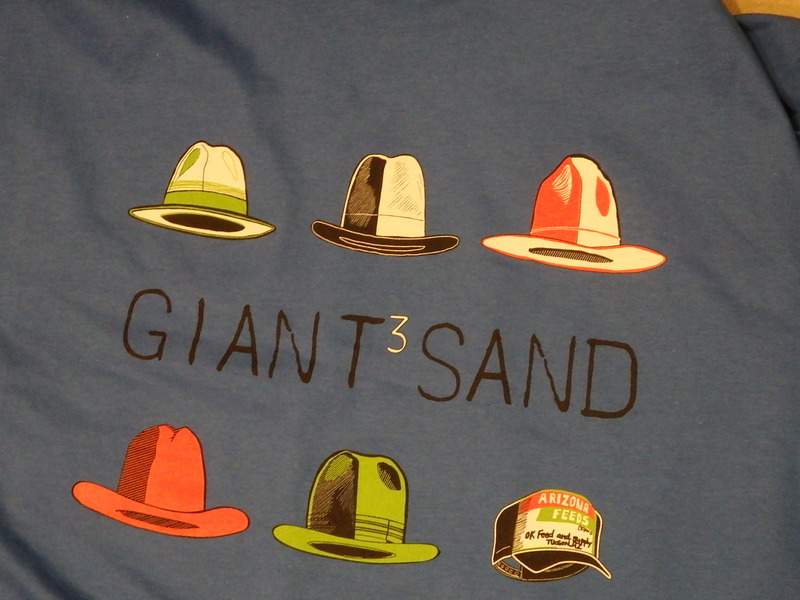 But Giant Sand did that last night. They played as if that new album Heartbreak Pass was the best thing they have ever done but then I know they are at least a dozen other albums lurking among the thirty or so that are out there that are just as good if not better. So it was a good gig and Howe Gelb wore good hat. He took it off for some songs, hanging it on a spare mic-stand or the head of the bass guitar, but it always went back on.